Soak in the sunshine from our newly renovated pool area, with direct access to Cowell Beach. Swim, float or wade in the heated outdoor swimming pool or take a dip in the hot tub. When you are ready, wrap yourself in a plush towel and relax atop a chaise lounge or unwind and enjoy the beach views on a pillow-lined convertible cabana bed. 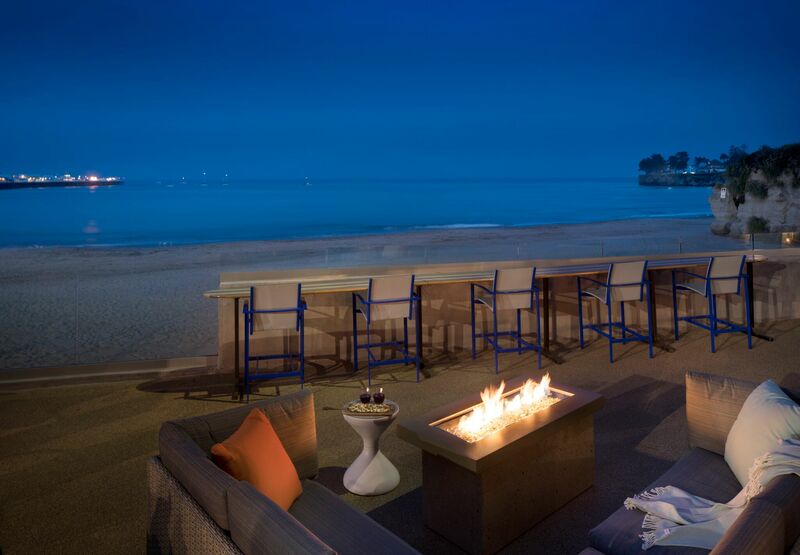 Watch the waves while cozying up to a fire pit or enjoy the sunset from a high-top table. 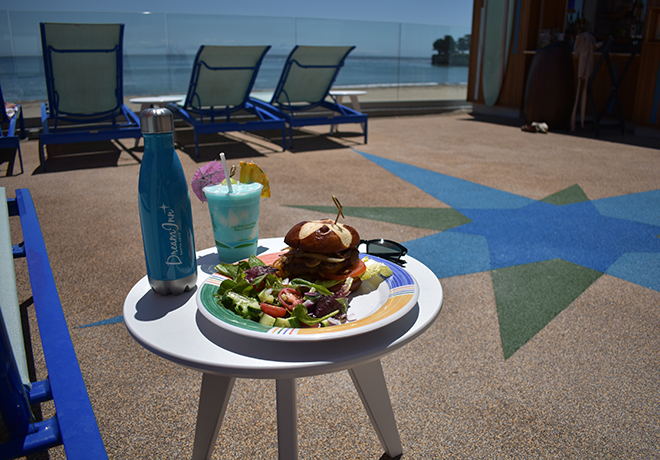 Snack and drinks are served from Shorebreak Drink + Dine poolside bar.